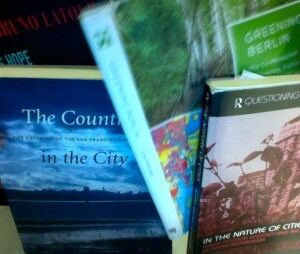 Books on urban ecology as science, culture and Updatepower. THE SITUATED ECOLOGIES PLATFORM gathers art, design and research collaborations to contest and democratise ecologies. This means collaborations that pluralises the study of ecology based on the idea that there are multiple ways of knowing and a commitment to democratic and egalitarian politics. Our work develops new theory and method in collaborations with scholars from the humanities, and natural and social sciences. But also representatives from civil society and cultural practitioners. Apart from publishing articles and books, we have worked with film, theatre, and design to redefine the study of ecology. We have also organised several conferences, courses, meetings and festivals. As of today (2019), the main contacts for The Situated Ecologies Platform are: Henrik Ernstson, Jacob von Heland and Joshua Lewis. See their contact details below. To be situated means to attend to difference and to take each location seriously for what it can bring to theory-making, while keeping broader geographies and dynamics in view. It also means to attend to knowledge politics and the origins of theory, how theory has travelled and how it has been embodied in different subject-positions; it means to attend to from where we speak when we theorise a particular place, a city, the environment, people and nonhumans. We draw upon critical theory related to ontological and epistemological politics; science-and-technology studies (STS); on bio-semiotics and material semiotics; and on interpretative and experimental work in history, theatre and film. We work with natural and social scientists; with directors, dance artists, and illustrators. We work to create engaging outputs through film, design or theatre, something we see as integral to the research we are doing. And we also produce peer-reviewed publications; we give courses and organise workshops for academics, students and civil society, trying to share our learning. Our research aims to bring forth the many voices, experiences and practices that are re-working contested ecologies and to collaborate around theoretical standpoints from where contested ecologies and futures can be understood and engaged. The Situated Ecologies Platform celebrates texture, richness, immersive outputs, and multiple theoretical viewpoints to understand ecology and its inherent politics. We contribute to several fields of research and investigation, including human geography, ecology, sociology, post-colonial studies, critical film and design studies, and broadly to the vibrant field of Environmental Humanities. With a keen interest to better understand the relation between scientific expertise and vernacular place-based ways of knowing (so called epistemological and ontological politics), The Situated Ecologies Platform grew from 2011 out of two larger Formas-grants lead by Henrik Ernstson (Ways of Knowing Urban Ecologies, WOK-UE; and Socioecological Movements in Urban Ecosystems, MOVE). The aim has been to present alternatives of how ecology can be studied, and work against a general tendency in the environmental sciences to use frameworks that simplifies particular places since it impoverishes understandings of what is at stake, locally and globally. Our work aims to develop methods, capacities and theories to multiply ways of knowing ecology. The Situated Ecologies Platform is a curious space. Of particular interest has been the production, re-working and contestations of urban ecologies, and the processes that intersects nature, city, ecology and urbanisation. Urbanisation is rapid, uneven and multi-folded. This has brought a focus on how people and their identities, social and political processes, are mixed up with material ecologies such as wetlands, sand dunes, parks and gardens, but also with infrastructural systems of sanitation, water and electricity. The research straddles the lines of geography, ecology, sociology and history and strives to answer and provoke debates about questions of sustainability and equality, including questions about identity, power and biophysical agency. As such, the Platform has served to develop interdisciplinary collaborations with ecologists to do site-specific biophysical studies in Cape Town and New Orleans, interpreted from how these cities are shaped by historically racialized planning processes. We have developed major research film projects; “theatre action” collaborations with cultural practitioners in Cape Town and Thessaloniki; a collaboration between Konstfack and KTH that explores the borderland between design, art and ecology; and two edited book volumes (Grounding Urban Natures and Urban Political Ecologies in the Anthropo-Obscene). The Platform has also nurtured the creation of a sub-field that uses postcolonial theory to understand the realities of urbanization in the global South, called Situated Urban Political Ecology. In 2017 we decided to create a new website for The Situated UPE Collective rather than having it on this website. In its first phase, the Platform was originally funded by two research grants held by Henrik Ernstson (as PI) from The Swedish Research Council Formas. These stretched from 2011-2017 and was given to develop more textured and in-depth understanding of environmental politics and ecosystem change in highly unequal cities with in-depth studies in Cape Town and New Orleans. The grants were “Ways of Knowing Urban Ecologies” (WOK-UE, PI: H Ernstson, Dnr: 250-2010-1372), and “Socioecological Movements in Urbanized Ecosystems” (MOVE, Dnr: 211-2011-1519; PI: H Ernstson). Major contributions to The Platform came from Joshua Lewis and Marnie Graham, then PhD students and with case studies in New Orleans and Cape Town respectively, but also Jane Battersby, who went on to develop food security work in African cities based on WOK-UE, and environmental historian Sverker Sörlin. The network around these two projects also included environmental historian Anna Storm, ecologists Wayne Zipperer and Pippin Anderson, and sociologists Mario Diani and Lorien Jasny. Developing The SituatedUPE Collective with Mary Lawhon joining as Postdoc and Jonathan Silver as part-time researcher, who worked with Henrik Ernstson at the African Centre for Cities in Cape Town from around 2013. Collaborations to use design to pose political ecological questions with industrial designer and philosopher Martín Ávila at Konstfack in Stockholm. A new project at UCT with Koni Benson, Suraya Scheba and Edgar Pieterse called NOTRUC, Notations on Theories of Radical Urban Change. Development of the PhD Winter School trilogy “Democratic Practices of Unequal Geographies”, organised by Henrik Ernstson and Andrés Fabián Henao Castro during 2015 and 2016, and joined by Ashley Bohrer from 2017. The two conferences, Interrupting the Anthropo-Obscene in Stockholm in 2015 (with Erik Swyngedouw) and Urban Beyond Measure: Registering Urban Environments in the Global South (and webpage) at Stanford in 2017 (with Jia-Ching Chen and support from James Ferguson). 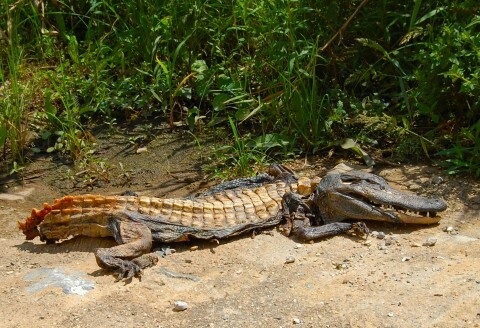 Case studies into environmental politics using camera in Cape Town and eThekwini/Durban. The film “One Table Two Elephants” which has been screened for hundreds of people and premiere at CPH:DOX International Film Festival in 2018. Development of the Crosscuts Film Festival by Jacob von Heland and Sofia Jonsson, which is based at KTH Environmental Humanities Laboratory and not primarily here. Piloting a peer-review format for film-based research through Annals of Crosscuts. In this third phase, there has also been a stronger development towards the study of urban infrastructure in cities in Africa, with case studies in Kampala, Luanda and Cape Town. These have been in collaboration with Makerere University and The SituatedUPE Collective with funding from Swedish VR-SIDA (PI H Ernstson), ESRC (PI Erik Swyngedouw), and through an AXA Award to Henrik Ernstson. This has brought together several more researchers, including but not limited to: Wangui Kimari, Ricardo Cardoso, and Jia-Ching Chen; Shuaib Lwasa, Jonathan Silver, Peter Kasaija, David Nilsson, and Mary Lawhon. In its early phase, The Situated Ecologies Platform was also supported from an exchange grant from STINT, The Swedish Foundation for International Cooperation in Research and Higher Education, which supported collaborations between KTH in Stockholm and African Centre for Cities at University of Cape Town (PI: Henrik Ernstson & Sverker Sörlin). A proper write-up of this history beckon. But there is no time for this now. Department of Geography, The University of Manchester. Tulane University, New Orleans, USA. Department of Geography, MacQuire University, Sydney, Australia provide an institutional home and co-supervision of one PhD student. Participating researchers have also come from Stockholm Resilience Centre, Stockholm University, Sweden; and Department of Sociology at Trento University in Italy; SESYNC at University of Maryland, USA; Department of Human Geography, Stockholm University, Sweden; Department of History, Stanford University, USA; University of Pretoria; Department of Geography, Durham University, UK; Urban Institute at Sheffield University and several others. Students and others that have been involved have been from Portland State Univeristy, USA, Makerere Unviersity, Uganda, and several others.